It is official, Fast-Trac Designs is 11 years old. It has taken a ton of hard work and dedication to grow from a garage based business. Our success and continued growth has been amazing and we could not have done it without our customers. The ones who return and the ones who refer, every client makes this possible and we are so grateful. 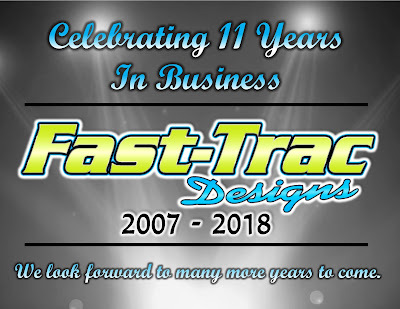 We look forward to continuing to provide screen printing and vehicle wraps here in Arizona and cant wait to see what the future holds.